At Blackburn smiles dental, we focus on delivering a holistic approach to dentistry. At your first appointment the dentist would discuss your main concerns you have with your teeth, gums or smile. A comprehensive dental and orthodontic examination would then take place and any necessary x-rays, photographs or study models would then be taken to help in the diagnosis and treatment planning process. After a thorough discussion comparing all the various options available to you, we would then select the most suitable option that best meets your individual needs. 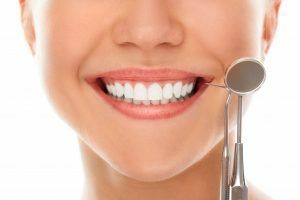 Before commencement of any treatment, the dentist would discuss in detail the procedure itself and all associated costs. Tooth decay is a process where bacteria break down sugars in your diet to eventually cause permanent damage to the structures of your teeth (enamel, dentine, cementum and the pulp /nerve). 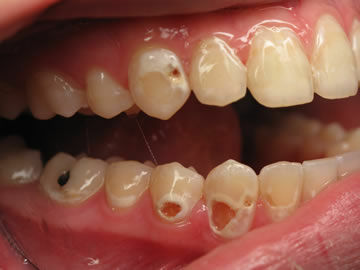 In the early stages, tooth decay can be reversed but if left unattended for too long, damage is permanent. Permanent damage would usually mean a trip to the dentist to either have fillings, root canal treatment or loss of tooth (extraction). At Blackburn Smiles Dental, we recommend a visit to the dentist every 6 months so that dental problems can be picked up in the early stages. Treating dental issues early on can mean both reduction in cost and complexity of the procedure. Routine (6 month) professional removal of plaque and calculus (tartar) is highly recommended as it helps reduce the amount of bacteria inhabiting the oral cavity. 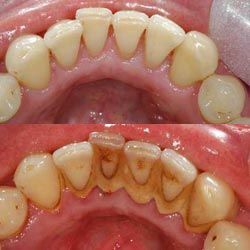 After scaling you would generally notice a reduction in bad breath, less bleeding when brushing / flossing and whiter (brighter) teeth on heavily stained cases. Contrary to popular belief, routine scaling done by a skilled operator would not cause damage to teeth.